We’re now just over halfway through our Kickstarter campaign and have unlocked a shedload of FREE stretch goals and cool add-ons. 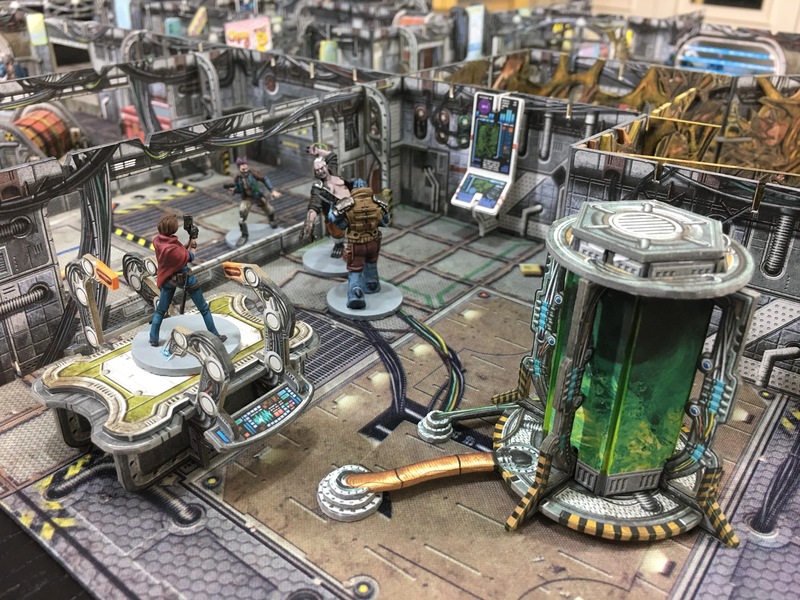 The Free stretch goals include two new trader teams, the crews of the Skylark and the Poseidon and a tonne of terrain. That’s a lot of FREE stuff! Let’s not forget the bonus minis either! Add-ons include two mission packs that come with their own terrain and mission log. Outbreak! has the traders mount a rescue mission in the middle of a derelict ship overrun by an alien infestation. In Shootout at Zed’s the traders get caught in the middle of a firefignt between the Galactic Corps and the criminals known as Zed’s crew. It’s all go at Zed’s! Other add-ons include the Metropolitan pack with more civilians and security cops. 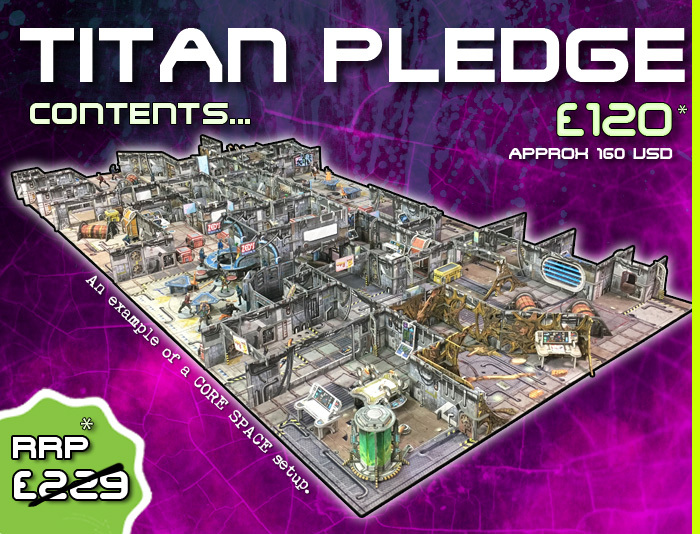 We’ve also opened up a new pledge, the Titan. 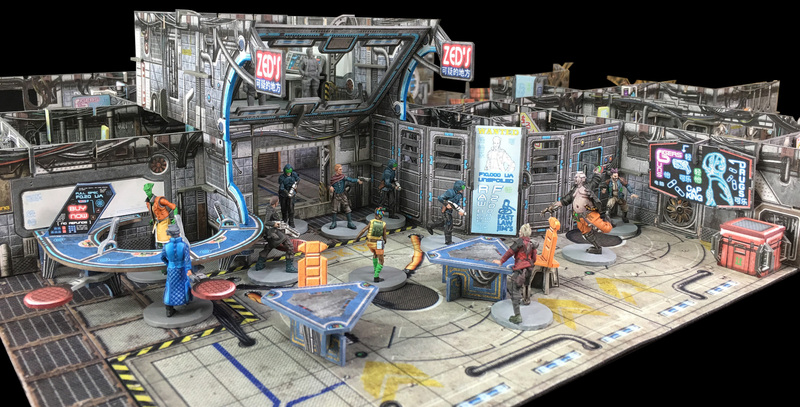 This is an extra large set and comes with its own mission and terrain, Accord on Titan where the traders form an alliance with each other and the usually hostile Galactic Corps to fight off the Purge! Titan also comes bundled with the other two misson packs. With less than two weeks to go jump in now and help us unlock more stretch goals 🙂 Core Space is live on Kickstarter NOW! This entry was posted in Uncategorized by Battle Systems. Bookmark the permalink.